80' x 80' operations and maintenance building with15' buffer zone and service road around it, and security fence. 32.5kV cable on power poles 10 feet higher than standard the entire length of the St.George peninsula up Route 131.
Who else is against this project? Fishing remains the critical livelihood of so many of our neighbors and friends and they do not want this project which threatens the loss of significant fishing grounds off St. George. This project has the potential to decimate fishing in Muscongus Bay and the Gulf of Maine, and therefore we stand with our fishermen to preserve fishing for generations to come. 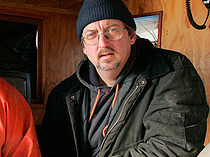 Randy Cushman has been ﬁshing the waters off Port Clyde, St. George for 35 years. 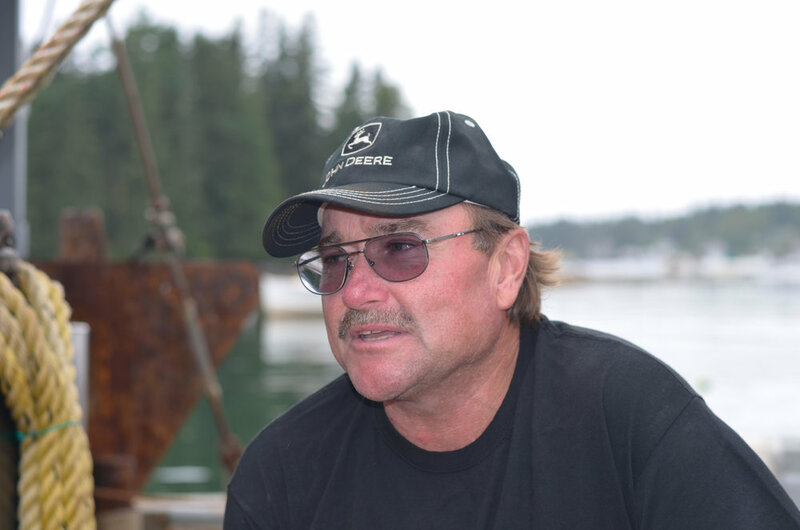 Working with the Nature Conservancy, he’s been key to developing and field testing nets and electronic monitoring systems to assist in the resurgence of ground fishing in the Gulf of Maine. What will the almost 600 foot high wind turbines set 2.5 miles south of Monhegan do to its heavily visited bird migration? The Audubon Society Has serious concerns about this project. Why did they say no to Aqua Ventus? Aqua Ventus, UMaine, and the multi-national owners of this project are not trustworthy partners. This developer approached the Town of St. George with an air of inevitability and an ultimatum: support this project or we will bring the cables ashore on private land and the town will receive no benefit. They've changed their story so many times, it's difficult to trust them. Aqua Ventus hasn't responded to the numerous valid and reasonable objections raised at several public meetings on this project. Aqua Ventus continues to change the story. In July, 2017, they told the fishermen in St. George there were no current plans for commercial wind farms. A week later, using prepared slides, they told a group in Camden that it was the first phase of commercialization. Massachusetts gets the power and we get the destruction of our villages and fishing grounds. Makes no sense to land cables in a 250-year-old historic fishing village. Maine has nearly 3,500 miles of coastline and somehow this developer has decided to land the cable in the heart of St. George. There has been no estimate of the substantial impact this project will have on the culture of the community, local businesses, property values, the environment, health & security, and commercial fishing. This project will have a substantial footprint on St. George, a vibrant community with a deep history and unsurpassed natural beauty prized by world renowned artists. On October 17, more than 300 residents urged the Select Board to take all steps necessary to prevent the landing of offshore wind electric cables onto any property owned by the Town of St. George. And to amend the Shoreline Zoning Ordinances to require a strict planning process to bring a 34.5 kV subsea power cable onshore. As of March 31, no amendments have been put in place and Maine Aqua Ventus is still hoping to land the cable in St. George, Tenants Harbor instead of Port Clyde. On April 3, 2018, 230 voters petitioned the town of St. George to submit for voting as a referendum question the following petition: Please vote in favor. Preserve Our Remarkable Town is a Maine Registered non-profit, L.L.C.